Provide comfort for the family of Michael G. Voto with a meaningful gesture of sympathy. We encourage you to share your most beloved memories of Michael G. here, so that the family and other loved ones can always see it. You can upload cherished photographs, or share your favorite stories, and can even comment on those shared by others. 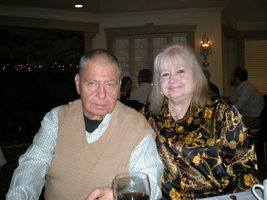 Provide comfort for the family of Michael G. Voto by sending flowers. Mike. May you rest in peace. Thank you for your support and care. I’m happy you have my Mom a good friendship at the end. I only just heard of Mike's passing... and am so sad to hear this... I know how happy Christine and Mike were as they shared these past years together... and how much Christine must miss him. Please accept my condolences.